Are You Tired of Your Red, Irritated Complexion? You’re not alone! 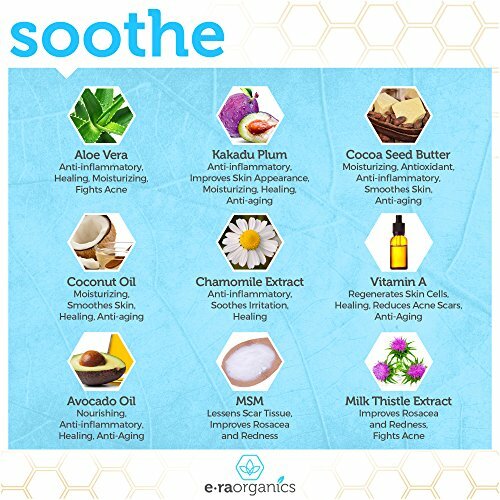 Millions of people want to have calmer, more balanced skin and spend millions of dollars a year on medications that actually weaken their skin. Hidden chemicals found in facial treatments could actually be doing more damage to your skin. That’s why we’ve formulated a natural and organic facial cream to soothe redness and irritations with ingredients proven to work. Nourish, soothe, hydrate and rejuvenate your skin without any side effects. 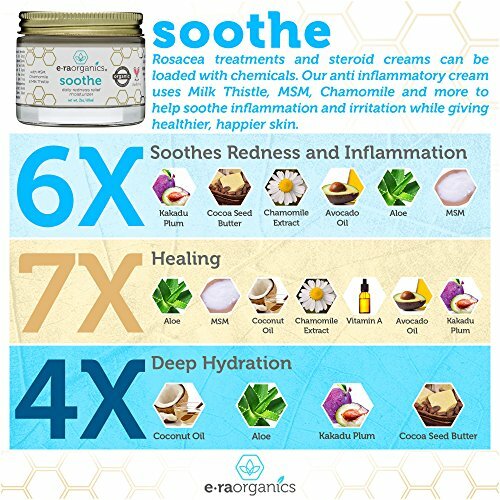 We’ve combined a robust formula including: Organic Aloe Vera, Milk Thistle, MSM, Avocado Oil, Cocoa Butter, Coconut Oil, Chamomile Extract and more! – Deeply hydrate that lasts all night. Get a Smoother, Softer, More Balanced Complexion or Your Money Back! 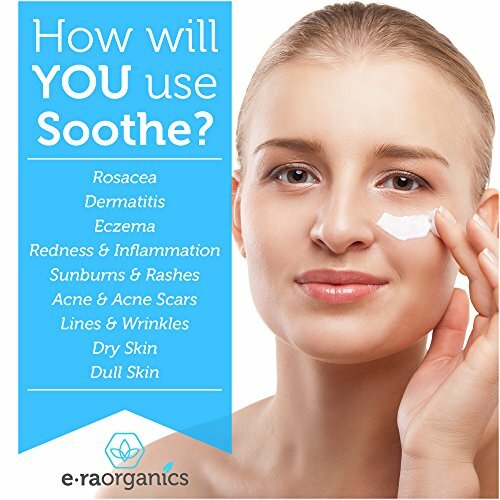 Are Rosacea, Eczema, Redness, Dermatitis or Inflammation Ruining Your Complexion? 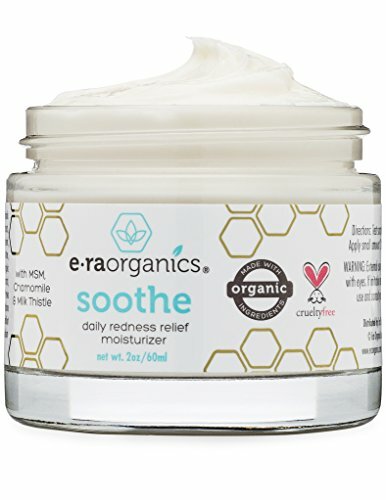 Get calmer, smoother, healthier looking skin or your MONEY BACK thanks to our natural and organic redness relief face moisturizer! Rosacea treatments and hydrocortisone creams can be loaded with chemicals. 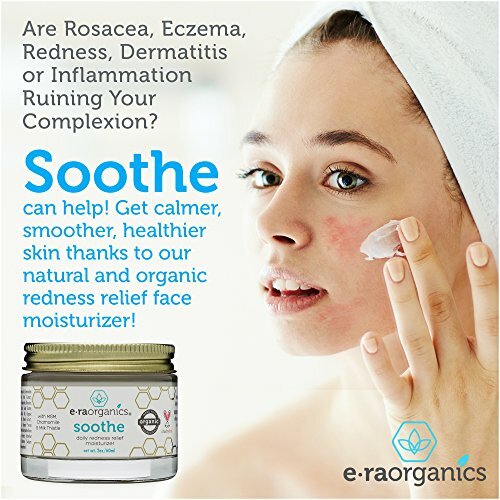 Our rosacea cream uses anti inflammatory ingredients Milk Thistle, MSM, Chamomile and more to help soothe inflammation and irritation while giving healthier, happier skin. Our calming face cream is made for sensitive skin so whether you have rosacea, face eczema or just have a red nose, red cheeks or rashes – soothe, moisturize and nourish your skin for lasting relief. The perfect dry skin face moisturizer. As safe as it is effective. 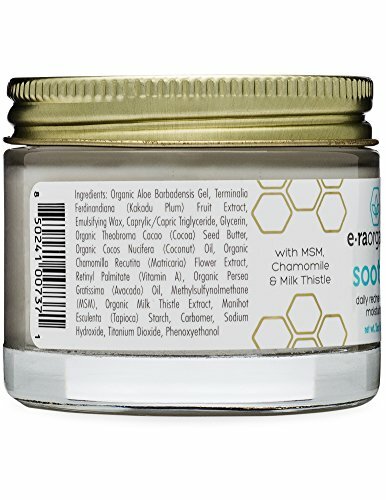 Our eczema face cream is steroid free, paraben free, alcohol free, non-toxic, no mineral oil or petroleum and made of mostly food grade ingredients, perfect for dry, irritated skin. Buy with confidence! As a small family business, your satisfaction is top priority. 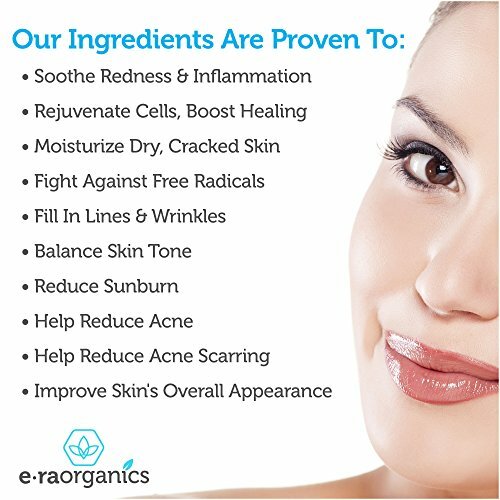 We know it’s hard to find a natural face moisturizer for irritated skin and so offer you a 60 Day “Love Your Skin or Your Money Back” Guarantee.